After flying from Los Angeles to Detroit (4hrs), Detroit to Amsterdam (9hrs), running through the Amsterdam airport to catch my flight to Nairobi (8 hrs), I made it, but my luggage didn't. I guess I ran faster then they could transport my luggage. The Nairobi airport said they will deliver it tomorrow by noon. Hope so, I just carried my laptop on the plane. So all I got is the clothes on my back. But I must say I am as excited as a kid. The shuttle ride from the airport was part NY taxi ride (just don't look) and part amusement park ride with the added thrill that it could kill you. We passed two accidents and just missed out on being the third (twice). But God is good. I just said if this is how you want me to go Lord then I guess this is how I'll go. I caught up with Steve Van Horn in Amsterdam. He's the president and founder of ITEM, the mission I am working with. We leave for Kisumu Monday and start the pastors' conference on Tuesday. This leaves us a day to worship and see a few things. Not only is this my first trip to Africa, but my first trip out of the States. I am focused on teaching but just as eager to learn what the Lord will show me through seeing Christianity through different eyes for a week. I leave tomorrow for a week of serving my fellow soldiers and workers for the Gospel in Kenya. I'll be working along side of Dr. Stephen Van Horn of ITEM (International Training and Equipping Ministries) teaching workshops on NT survey, pastoral qualifications, church discipline, leadership, and the purpose of the church. Gotta admit I'm excited and nervous. This is my first trip to Africa. More than anything though I humbled by the staggering privilege of representing my Lord who bled and died for me, an unworthy sinner. Please pray. I'll post updates if I can get online in Kisumu. I thank God for the Los Angeles Bible Training School. It is very encouraging to see men and women serving the Lord in an urban context who are so eager to receive and apply the Word of God to their lives. Last night, I had to privilege of preaching in chapel. Here's the outline of my message and if you want to listen click here for the audio. 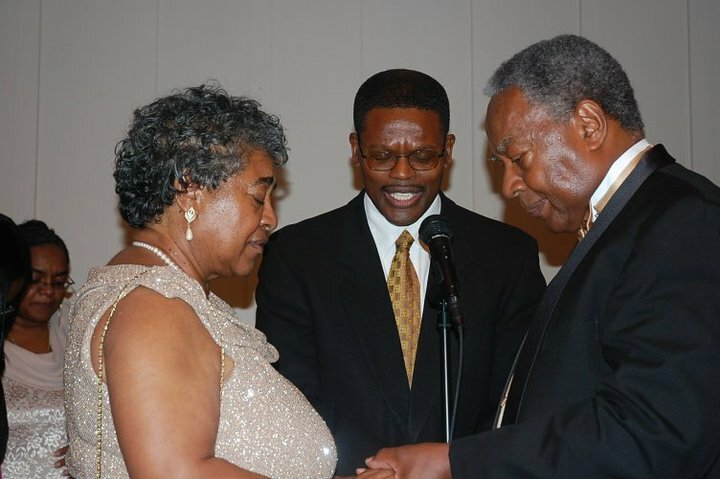 This summer I experienced one of the greatest joys of my life—I officiated my parents’ golden anniversary. But all marriages don’t make it to 50 yrs, do they? Today many people never get married at all. The institution of marriage has lost a lot of its luster, even in the church. Marriage has become an endangered species, and that’s dangerous. This evening we will consider 5 foundational truths that the church must embrace to fight against these trends and to fight for God’s institution of family. The God ordained gender distinctions “male” and “female” have far reaching implications, as the apostle Paul makes plain in Ephesians 5:31-32. 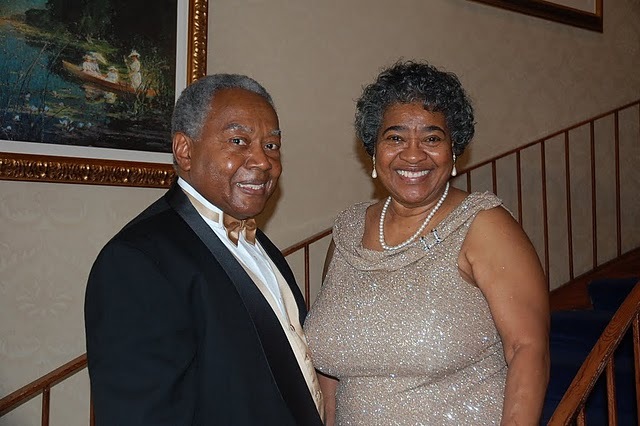 God made them male and female so that He could take the two and make them one (Mat 19:5-6). Maleness and Femaleness reflect a complementary differences that enable a husband/male and wife/female to become one flesh (one person, Gen 2:24b). God designed the husband to be the leader in the marriage union and the wife to be his subordinate helper. Far from these roles being bad, God called this design not “good,” but very good. If we believe that God’s design of marriage is good, then why don’t we get married? God blessed Adam and Eve with everything. They owned and ruled over all of creation. Like the first man and woman, God blesses people today with many gifts that reveal His goodness, and in turn He wants us to show genuine love for Him by living in obedience for His glory. God does not want us to let His gifts, including our relationships, to make our relationship with Him secondary. In order to love your loved ones more you need love them less than you love God. Our love for Him must be central. “What is the one thing you can't live joyfully without? If that one thing is not God, it's an idol,” Tullian Tchividjian. All sin begins with a lie. The Bible says Satan is the father of lies. He seduces Eve and women in general with the lie that God has wronged them by placing them in subordination to their husbands. Christian women must reject this lie and affirm the wisdom of God’s design and His goodness towards them. Eve believed that God had wronged her and she rejected God in an attempt to gain a freedom the serpent said she would receive by eating from the tree of the knowledge of good and evil. The sin God indicted Adam with is that he listened to the voice of his wife (gen 3:17). To be sure, it is no sin to listen to a wife when her counsel is in keeping with the wisdom of God’s Word. But Eve enticed her husband to choose her and her path rather than to submit to and obey God’s. There is an interesting play on words that connects the marriage narrative to the Fall narrative. The words are “naked” arom in Hebrew (2:25; 3:7, 10, 11), and the word “shrewd” arum. The connection reveals that it was the shrewd plan of the serpent to use a naked Eve whom Adam was thrilled with to seduce him to reject God. Click here for further study on "How Nakedness Affected the Fall." Like father, like son. God directly warned Adam (Gen 2:16-17), and he directly disobeyed. God directly warned Cain, and he directly disobeyed. This is a sobering truth. Our children hear what we say but will live what we do. So love God (Deut 6:5) and model the life you are teaching (6:6-9) your children to live. The consequences of the sin of the Fall devastated the first family. Although God graciously came to Adam, he refused to repent and instead blamed Eve and even God for his rebellious idolatry (choosing Eve over God). So Adam’s sin led to his spiritual death and the death of all who remain in him. But Eve appears to be a very different woman at the end of Genesis 4. She no longer despises God and longs to be free from Him. Instead, she thanks God for giving her another godly son. Much of the language of Gen 4:25 is very reflective of the promise in Gen 3:15, that through the seed of the woman, God would raise up a victor over the serpent. Thus He and His coming provide hope for otherwise hopeless families living in a fallen world. We all live outside of the garden, in a world marred by sin and filled with death—death of marriages, death of children and worst, eternal death. Our only hope and the hope of the family is that God who is holy is also merciful to repentant guilty sinners. We all have contributed to the demise of the family. The solution is to repent - to yield in faith to God’s institution of family, to seek His grace and mercy to fulfill it, and in faith, to enjoy Him as the Giver of good gifts. 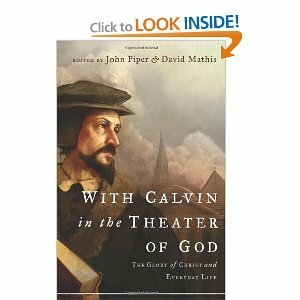 I had the privilege of reviewing and endorsing this latest contribution on the work of Calvin. If Calvin intrigues, inspires, or even baffles you, then you’ll want to get this latest contribution to his teaching ministry and life. This work digs through 500 yrs of history and unearths one of the church’s greatest treasures—the heart and mind of John Calvin—and places it not behind the walls of academia but on the pulpits of pastors and in the pews for laymen. Applying the brilliance of Calvin to the hardest theological questions and the most stubborn challenges of everyday Christian-living, this book will enlighten you with the great breadth of Calvin’s biblical worldview. One of the most divisive theological issues in the church today is the question about spiritual gifts. In this two-part study, we will search the Scriptures to shed clarifying light on this question that confuses and divides so many believers. First, we’ll identify the main three groups into which churches have divided regarding the gift of miracles, tongues, and prophecy. What do Continuationists believe? They believe that people with miraculous and revelatory gifts still exist in the church today. They believe that the church has recaptured the power of Pentecost, and that the miraculous manifestation of the power of the Spirit is essential for the sanctification of believers. They typically believe that these gifts stopped only because of sin dominated the church during the dark ages. Miracles and prophetic gifts and namely tongues play central roles in these ministries. What do Cautious Continuationists believe? This group is often called Open But Cautious. They believe that the tongues and prophetic gifts are for the church today and yet recognize many abuses of false expressions of these gifts. Also they generally do not play a central role in their ministries. What do Cessationists believe? They believe that the miraculous and revelatory gifts ceased after the Apostolic era. All evangelical, for that matter Anglican and Catholic churches before 1960, believed this. They believe today’s so-called revelation, tongues, and miracle workers in the church are at best illegitimate and at worst demonically inspired. 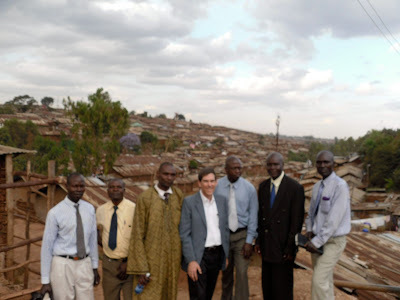 Can you name churches, schools, and prominent leaders from each group? Continuationists: Church of God in Christ, Holiness Churches, Assemblies of God, King’s College, Fuller Seminary, Jack Hayford. Cessationists: John MacArthur, The Masters Seminary and Colleges and most Baptist Presbyterian Church. After being invited to preach at a small Nazarene Church in Los Angeles, William J. Seymour, the Father of Pentecostalism, was kicked out after he preached from Acts 2 that tongues were the evidence of the Holy Spirit. Soon after, he moved to the Azusa Street Mission of LA. He held a revival attended by both blacks and whites, and it took off. People claimed to have visions, prophecies, and spoke in tongues/babel. It had bazaar extremes. People fell into trances, spiritists and mediums also attended. Many of the leading pastors and theologians of the day condemned this new movement (see B.B. Warfield in his book Counterfeit Miracles). Even Charles Parham, Seymour’s spiritual father, split with him over the extremes of what Seymour alleged to be the work of the Spirit. Nevertheless, a new powerful movement was born. It continued to gain numbers rapidly, and gave birth to all modern day Pentecostals and Charismatics. What is and is not biblical tongues? It is the gift of speaking in an unlearned real foreign language (Acts 2:5-11). It is not indiscernible babble (1 Cor 14:7-10). Who had this gift? It was never the case that all believers could speak in tongues (1 Cor 12:30). Did Paul speak with the tongues of angels? Paul’s appeal to “speaking in an angelic language” is not a practice he claimed that he performed. He makes this hypothetical reference purely for the sake of argument to show how much more important love is than the gifts (1 Cor 13:1). Just as he did not have “all knowledge” or “give away everything he owned” neither did he “speak with the tongues of angels” (13:2-3). What was and was not the purpose of tongues? No gift including tongues was for personal edification (1 Cor 12:7; 13:5; 14:5b, 12). Paul is rebuking the Corinthians for selfishly trying to use the gift of tongues for themselves (14:4, also cf. 14:17). He is not commending this practice. God gave the gift of tongues to the early church to rebuke unbelieving Jews (1 Cor 14:20-22). Does the NT indicate that the gift of tongues would cease? The Greek text in 1 Cor 13:8 strongly suggests that tongues in and of itself would one day simply cease. Church history confirms that this gift of speaking in unlearned languages did in fact disappear and has never returned after the first century. Nothing claiming to be tongues today remotely resembles what happened on the day of Pentecost. Some P/Cs create a two-tier breech within Christianity—the haves and the have-nots. They believe those who speak in tongues have the Spirit while those who don’t speak in tongues don’t have the Spirit. Some take that line of thinking to the extreme of believing non-tongue speakers are not saved. P/Cs can become so enamored with the so-called ecstatic experience of tongues that they put more stock in their experience than in the Word of God (1 Cor 12:1-3). This error often leads to a serious case of spiritual AIDS leaving the church inept in its fight against dangerous heresies. Also some P/C churches lose sight of true spirituality—a Holy Spirit empowered holy life and accept in its place their ecstatic experiences, which are more pagan-like than like Pentecost. So what do we do? (1) We believe tongues did cease (1 Cor 13:8) at the close of the apostolic age. Yet we fellowship with P/C believers who hold to the essentials of the faith. (2) We have limited fellowship with P/Cs who resist important doctrines such as the security of the believer, and all believers are filled with the Spirit. (3) We reject fellowshipping with those who reject the essentials of our faith like the trinity, and believe errors like the prosperity gospel and tongues are evidence of salvation, etc.